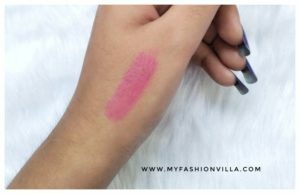 I got to know about Brillare a few months back when I saw one of their instagram posts and they have mentioned “a cosmetic brand strongly believe in nurturing and nourishing the original beauty of individuals with Nature and proud member of PETA” which means their products are 100% Cruelty-Free. I decided to give it try. 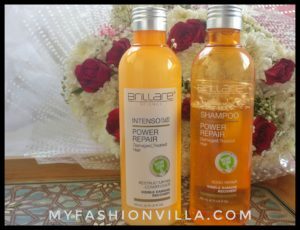 Brillare is mainly popular for their hair care products , so I decided to try Brillare Science Power Repair Shampoo & Intenso Conditioner. 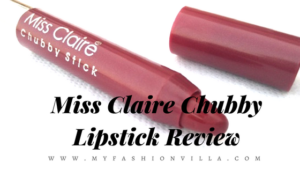 While writing this Review Post, I have almost experienced both the products. 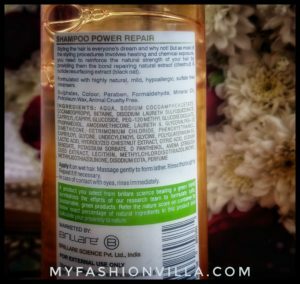 Less than 20% product left and this is the time, I would like to share my review of Brillare Shampoo & Conditioner. 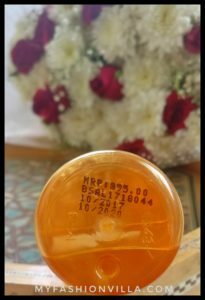 Brillare science is a company which designs products with the unique concept of “ingredient-based formulation”! Their focus is to design products from natural ingredients which will heal beauty concerns without any side effects. They use only clinically verified actives for the products which are 100% free from Toxic, Harmful and Allergic Chemicals. They focus on research and rely upon science to develop cutting-edge cosmetic solutions. What is Unique about Brillare Science? 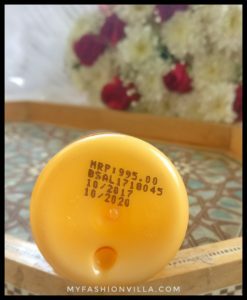 You will find a number mentioned with “Natural Score” on every product which means, how much percentage of natural ingredients are used in each product. This is actually a great way to ensure, you are using a quality product which is free from harmful chemicals. 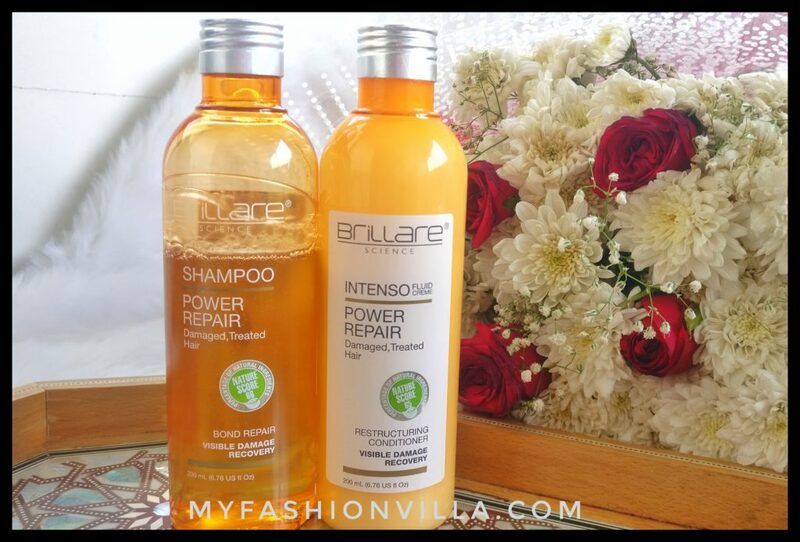 Brillare Science Power Repair Shampoo and Conditioner are the ideal choice for damaged and treated hair. They call it ‘Bond Repair’ with the note mentioned “Visible Damage Recovery”. It comes with Nature Score of 66 and 65. Packaging: It comes in a Sturdy Orange Colored Transparent Plastic Bottle with a silver cap over it. The bottle has labels with all the product details mentioned over it. 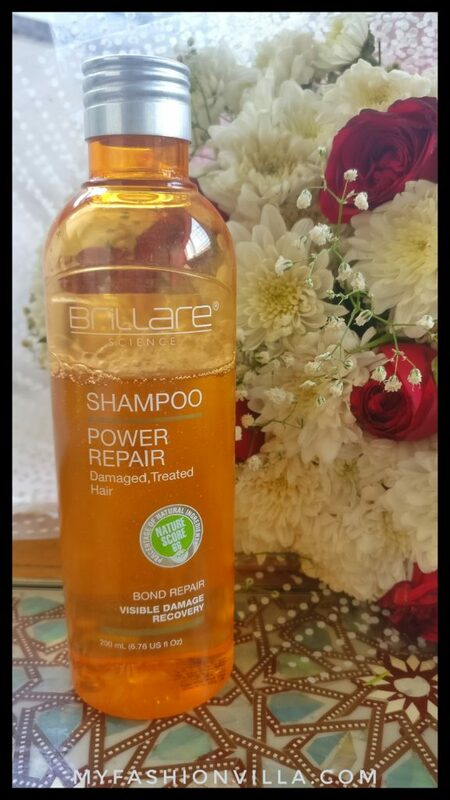 Brillare Science Power Repair Shampoo is formulated with highly natural, mild, hypoallergic free, sulfate-free cleansers. The consistency of the shampoo is quite runny thus you need to take a small amount in the palm and apply it gently over the scalp. The fragrance is amazing and lasts for a longer time. 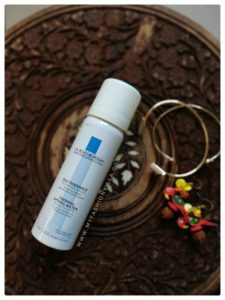 What I love the most about this shampoo is, it is free from Sulfate, Colour, Paraben , Mineral Oil, Petroleum Wax, and also Animal Cruelty-Free. All these make it a great shampoo for frequent washes as it is mild and not at all harsh for your scalp and hair. The shampoo lathers well thus small quantity goes a long way. You can buy Brillare Shampoo Online. 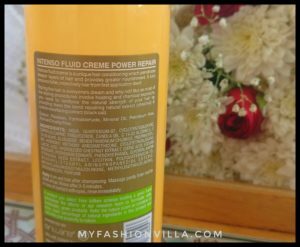 Along with Brillare Science Power Repair Shampoo, I tried this conditioner too. 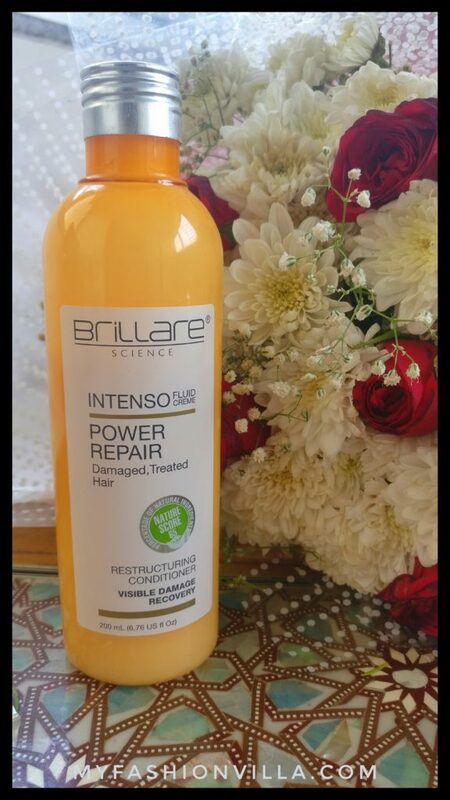 The consistency of the Brillare Science Power Repair Intenso Conditioner is quite runny compared to other Conditioners available in the market. 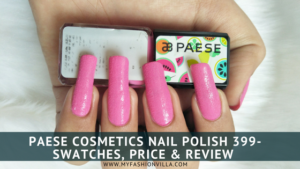 Thus you need to be careful while taking the product out in your palm. I take small amounts and apply it to my ends with my fingertips. Unlike other Conditioners, it doesn’t give any silky smooth effect (probably because it is silicone free!) during the application but, once you towel dry or blow dry your hair; you get tangled free, soft silky shiny hair. I love it. The fragrance is equally amazing. after one wash, at least for 3 days, you don’t need another application. Your hair stays soft, shiny and bouncy. You can buy Brillare Conditioner Online. « Bardot Tops & Dresses – Style Tips to Wear Bardot Style like a Pro!